I am watching the news from the Venezuelan election and wondering what I would do if I were a doctor in Venezuela today. The election is the most recent assault on the people of Venezuela by their President, Nicolas Maduro. By the end of the day, or within a few more days, he will become the dictator of Venezuela. The making of a dictator is the undoing of security in a country and many young Venezuelans have seen their country go from being the richest country in South America in the 1980’s to having an 86% poverty rate in 2017. Since April, over 100 young people have died in protests in Venezuela. That total increased by 19 this weekend as protests over the election intensified. Venezuela’s neighbours, Brazil and Colombia are bracing for a refugee crisis. The country is experiencing a food security crisis and medicines are not at all available. Venezuelan physicians are especially concerned about the impact on children, who have been most affected by the food insecurity. Also, youth have been the majority killed in protests against the Maduro regime, according to Dr. Natera. In Venezuela, however, some of the heroes are also young. Medical students and recent graduates of the Central University of Venezuela have banded together as volunteers to provide first aid and whatever care they can to those injured in protests, on both sides. However, despite the group’s impartiality, government forces usually see them as part of the protest. As they help, some have been injured and one of the volunteers was killed. 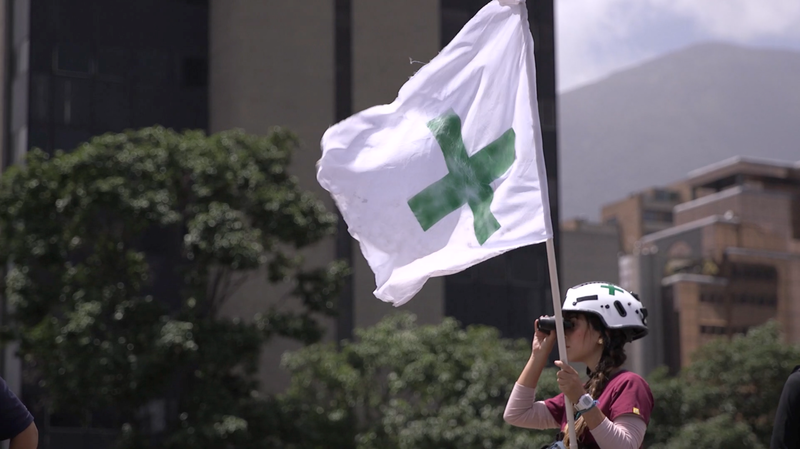 To identify themselves, the volunteers wear white helmets with a green medical cross and carry white flags bearing the same green cross. Cruz Verde (Green Cross) is what they are called and those injured in protests call out for them, and pray for them. We take a lot for granted in the first world!